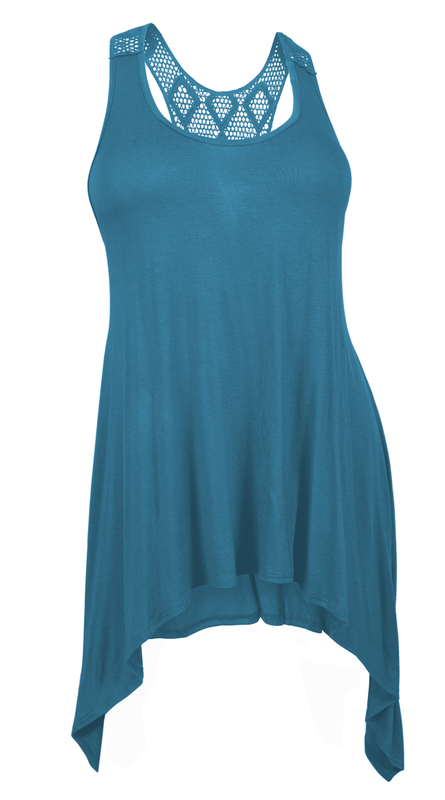 Plus size tunic top is a wonderful new addition to your wardrobe. Sleeveless tank top design with scoop neck. Asymmetric bottom. Gorgeous partial sheer laced back. Perfect blend of comfort and style. Polyester/Spandex. Available in Junior plus sizes 1XL, 2XL, 3XL, 4XL, 5XL.